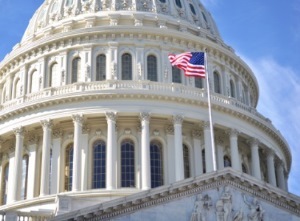 The BCRA would change the excise tax paid by health savings account (HSA) owners who use their HSA funds on expenses that are not medical expenses under the Internal Revenue Code from the current 20 percent to 10 percent. It would also change the maximum contribution limits to HSAs to the amount of the accompanying high deductible health plan's deductible and out-of-pocket limitation and provide for both spouses to make catch-up contributions to HSAs. The AHCA contains those provisions as well. The BCRA would allow individuals to remain on their parents' plan until age 26 (the same as the ACA's regulations, and the AHCA) and would not allow insurers to increase premium costs or deny coverage based on pre-existing conditions. Conversely, the AHCA provides for a "continuous health insurance coverage incentive," which will allow health insurers to charge policyholders an amount equal to 30 percent of the monthly premium in the individual and small group market, if the individual failed to have creditable coverage for 63 or more days during an applicable 12-month look-back period. The BCRA would also return permissible age band rating (for purposes of calculating health plan premiums) to the pre-ACA ratio of 5:1, rather than the ACA's 3:1. This allows older individuals to be charged up to five times more than what younger individuals pay for the same policy, rather than up to the ACA limit of three times more. This is also proposed in the AHCA. The ACA's cost sharing subsidies for insurers would be eliminated in 2020, with the ability of the President to eliminate them earlier. The ACA's current premium tax credits for individuals to use when purchasing Marketplace coverage would be based on age, income, and geography, and would lower the top threshold of income eligible to receive them from 400 percent of the federal poverty level (FPL) to 350 percent of the FPL. The ACA allowed any "alien lawfully present in the US" to utilize the premium tax credit; however, the BCRA would change that to "a qualified alien" under the definition provided in the Personal Responsibility and Work Opportunity Reconciliation Act of 1996. The BCRA would also benchmark against the applicable median cost benchmark plan, rather than the second lowest cost silver plan. 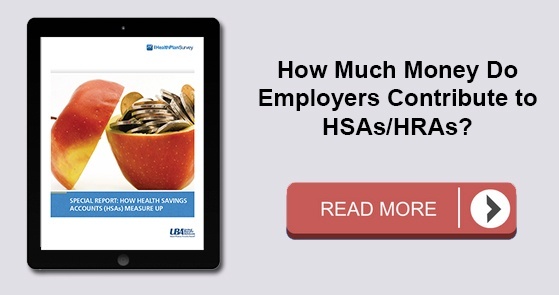 As HSAs get bandied about in Senate discussions, be sure to view UBA’s "Special Report: How Health Savings Accounts Measure Up", for a detailed look at the prevalence and enrollment rates among HSA (and HRA) plans by industry and region, including how much employers are contributing to these plans.